Two teenage sisters who were among the 96 people to die at Hillsborough might have been saved had they been rescued from the crush and treated more promptly, the new inquests into the disaster have heard. Vicki Hicks, then 15, and her sister Sarah, 19, both died following the crush in pen three of the Leppings Lane terrace in Sheffield Wednesday's football ground at the 15 April 1989 FA Cup semi-final between Liverpool and Nottingham Forest. 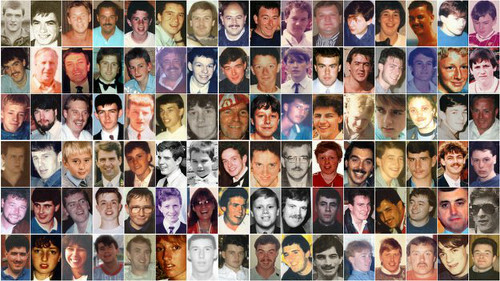 The inquests, sitting in Warrington, heard that Vicki was left in a prone position and had her face covered by a fellow Liverpool supporter while still in the pen at around 3:21pm, a time when there was a possibility she could have been revived. Giving expert medical evidence, Dr Jerry Nolan told the court he believed it was most likely that Vicki's heart and breathing had stopped and she was in fatal cardio-respiratory arrest when the supporter, Paul Taylor, found her towards the top of a pile of bodies in the pen and tried to help her. However, Nolan said there were "real possibilities" that the teenager may have only been unconscious and still had a heartbeat at that time, and so could have been saved by medical treatment. The court heart there was a five-minute period before the next established sighting of Vicki, being carried over the metal fence into neighbouring pen two then onto the pitch, where several people including her father, Trevor, tried unsuccessfully to revive her. Judy Khan QC, representing Trevor Hicks and his former wife Jenni, the girls' mother, asked Nolan whether, if Vicki was not in cardio-respiratory arrest in the pen, and instead was either deeply unconscious or only in respiratory arrest: "Medical interventions at that stage could have saved her life, would you agree?" "Yes," Nolan replied. "If Vicki had been simply unconscious at that stage but was breathing." Sarah Hicks, described by her father as a "classic A-grade student" who had turned down places at Oxford University and Imperial College London to study at Liverpool University, might also have been saved had she been rescued from the pen earlier, the medical experts said. One supporter, Brian Doyle, previously told the court that after he had escaped the pen he climbed onto the high metal fence at the front, saw Sarah with her face turning blue and "obviously very frightened", and tried to pull her out, but was unable to because she was too "tightly packed in". Dr Nolan accepted the time of between 3:06pm and 3:08pm as the last when Sarah was witnessed alive. She was then carried out of pen three at 3:27pm onto the pitch, where several trained people, including off-duty doctors and policemen, tried to resuscitate her. "It is possible that Sarah's life could have been saved," Khan asked, "if she was either taken out of the pen sooner and/or given ... life support prior to going into cardiac arrest, yes?" Nolan replied: "Yes, I think in general terms it is always true to say that if intervention could be made before the onset of cardio-respiratory arrest then there was a significant chance of survival, yes." "Given that gap, that window," Khan said, "in medical terms, there was an opportunity potentially to save Sarah's life?" "I agree with that, yes," Nolan said. Vicki was taken in an ambulance to Sheffield's Northern General hospital, where staff could not revive her, while Sarah was carried on an advertising hoarding to the gymnasium at Hillsborough, where she was certified dead. The cause of death for both girls, the court was told, was compression asphyxia. 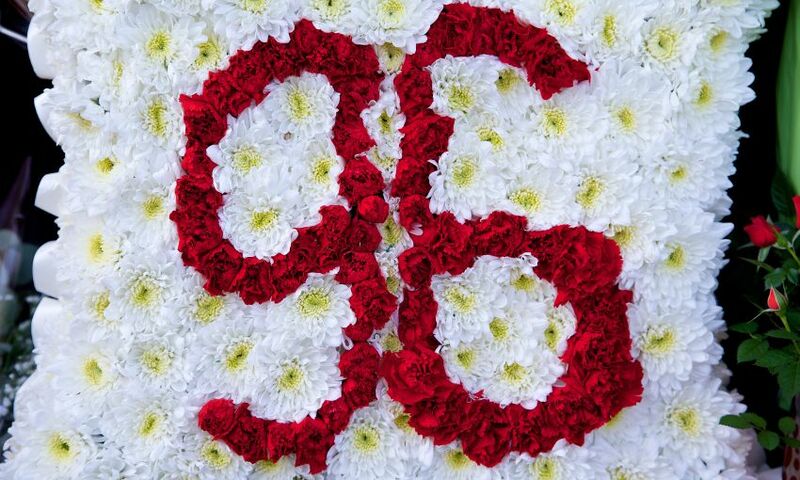 Gary Harrison, the third of the 96 people to die at Hillsborough whose medical details were considered, was 27 when he went to the football match. He was married to Karen, and the couple had two young children, Claire, then 8, and Paul, 4. Gary's older brother, Stephen, then 31, also died in the disaster. Dr Jasmeet Soar, appearing as a medical expert, agreed that Gary might not have been in fatal cardiac arrest when he was laid on the pitch at 3:28pm, and that being on his back, when laid on the pitch and then carried on a hoarding being used as a makeshift stretcher, could have jeopardised his chances of surviving. Professor Guy Rutty, giving expert pathology evidence, referred to bleeding in a part of Gary's heart, the endocardium, identified by the 1989 autopsy after he died. Rutty said such haemorrhaging in that area of the heart can happen where people are stressed before death. "Therefore it is maybe a reflection of a terminal stressful event," Rutty said. "I'm sorry to say that for the family, but it is something we see in these circumstances."